The East Point Police department fired Richard Gooddine Aug. 22. 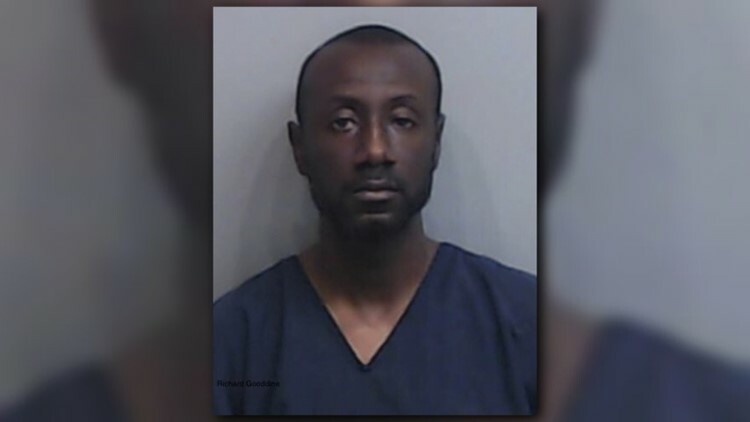 EAST POINT, Ga. — A former East Point Police Sergeant has been formally charged after claims of inappropriate sexual contact with four different victims. According to the Fulton County District Attorney's office, a Grand Jury indicted former East Point Police Sgt. Richard Gooddine on 17 counts, including aggravated sexual battery, violation of an oath by a public officer, child molestation, enticing a child for indecent purposes, sexual assault by law enforcement agency employee and threatening to cause physical or economic harm. The department fired Gooddine Aug. 22. The indictment comes after the 38-year-old former officer allegedly victimized four young women on four different occasions, including in 2011, 2016, 2017 and 2018. Two of the victims related to the indictment were under the age of 16 years old when the incidents occurred. In the most recent incident, Gooddine allegedly assaulted a 15-year-old girl over the course of several hours in the back of his patrol car before dropping her off at her mother's home. When the teen's mother took her to a local hospital to get assessed, Gooddine reportedly showed up there, roaming the hallways to look for the victim and her mother. Hospital staff eventually removed Gooddine from the property. After, Gooddine reportedly told a fellow officer that he "f***ed up." As part of the 17-count indictment, there are several aggravated sexual battery charges which each carry a sentence of 25 years to life in prison. Meanwhile, District Attorney Paul Howard continues to urge other potential victims of Gooddine to come forward. They can contact the Fulton County District Attorney’s Office directly at (404) 613-4984.